Milwaukee is a lovely city any time of the year, but especially come summer. Whether you’re looking to catch some sun at Bradford beach or at one of our many (and we mean many) street festivals, check out some of our favorite “must-do” festivals taking place in June! 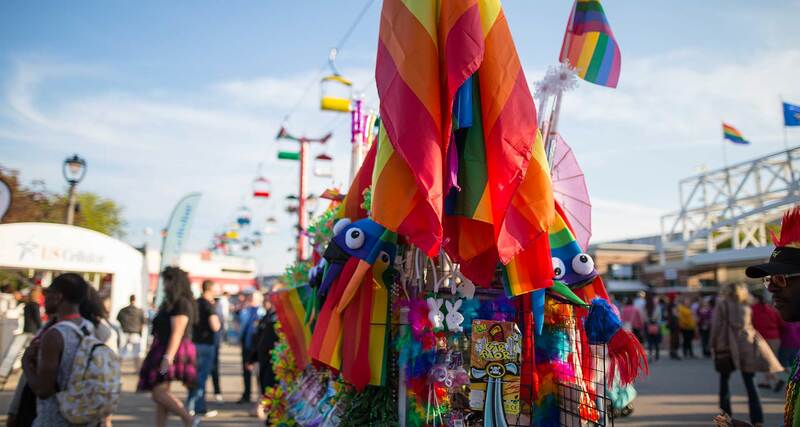 • Celebrate 30 years of pride at this year’s PrideFest Milwaukee happening June 9-11 at Henry W. Maier Festival Park. Some of the headliners include 10,000 Maniacs and Betty Who. Don’t forget to also check out the Dance Pavilion featuring DJs and drag entertainment. Get the entire scoop here. • On Sunday, June 11, start your day Milwaukee-style with a 1.8 mile beer run with 4 beer stops in the Riverwest Neighborhood. The run immediately spills over to the annual Locust Street Festival featuring a variety of food vendors, 6 live stages and over 30 bands. • Newaukee’s Night Market takes place on June 14, July 12, August 16 and September 13. They’ll fill Wisconsin Avenue from 2nd to 4th street with food trucks, live music and vendors. • In celebration of Good City’s one year anniversary (has it been a year already?! ), hang out at Good City Fest on June 17th for some 21+ fun featuring craft beer, food and local music. For more information and to buy tickets click here. • On June 24th 88Nine celebrates their 10th year with a free 88Nine Block Party including food vendors, live music by Noname, Strand of Oaks, Field Report and more. • Last but not least, one of our favorite free events, Jazz in the Park will be held on Thursday evenings June 1-August 31 at Cathedral Square from 5pm-9pm. Start your Thursday night off with happy hour at 5pm and stay for the free music starting at 6pm. Don’t forget to bring your blanket!